- The Asgard are going from the alpha stage to the beta one. 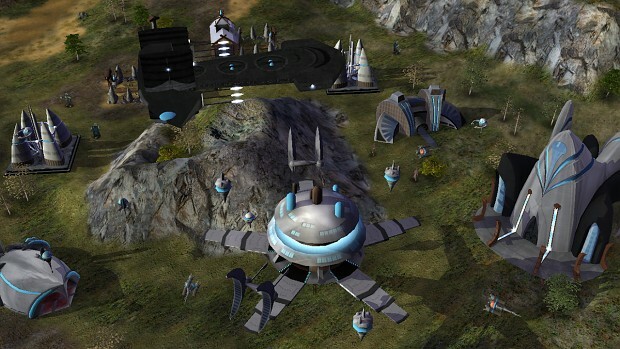 Several new units and powers were added, and others were reworked. - A new neutral structure makes its appearance : The Transportation Rings. - Several visual upgrades were made, such as the Goa’uld scaffoldings, the stargate visual rework, and the updating of a handful of Asgard models, textures and animations. As usual we’re committing to improve your gaming experience by reducing the amount of bugs and improving the unit balance. To get an extensive list of all the changes we’ve made with this new version, we invite you to have a look at the patch notes. We’ve also made some minor changes to the Goa’uld mission. Having reached our goal concerning that mission, we will be able to record the English voices for it (The text being already entirely translated) which will be in a next patch.